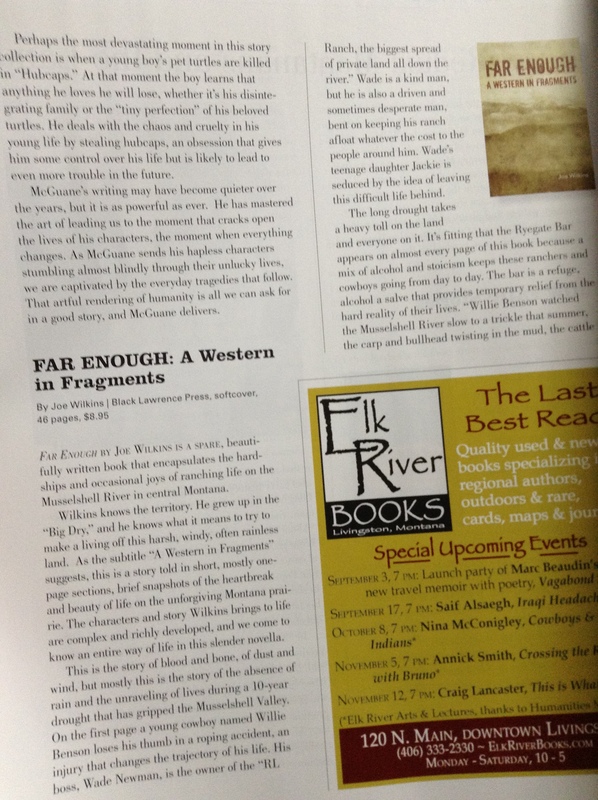 A big thanks to Scott McMillion, Craig Lancaster, and, especially, Elise Atchison for a wonderful review of Far Enough in The Montana Quarterly. And it feels pretty good to be following Tom McGuane in the book review section as well! 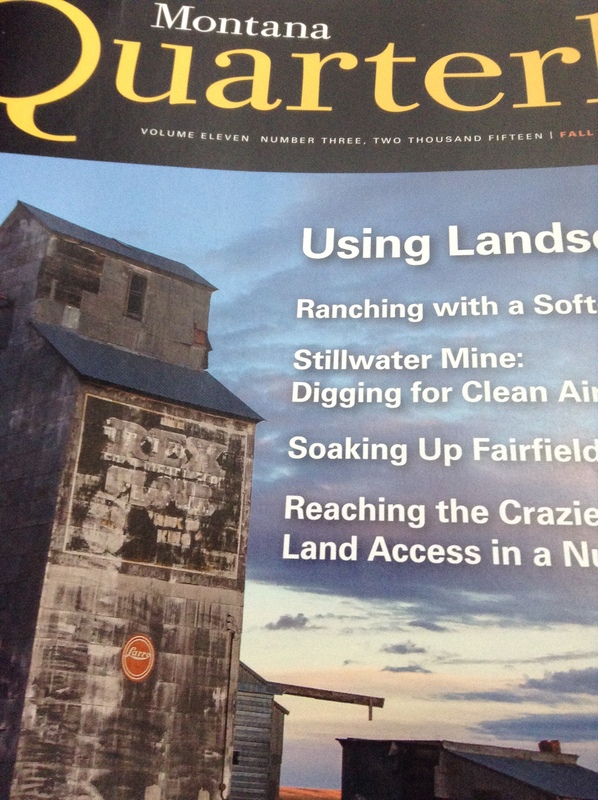 Wilkins writes about rural Montana with the same brilliance and precision as Ivan Doig or Wallace Stegner. His lyrical descriptions and evocative imagery make for a jaw-droppingly beautiful book. There is a mysterious alchemy that takes place when beautiful language is mixed with the dust and blood of hardscrabble lives. In Far Enough we are left with pure gold. Had a wonderful time at the Jackson Hole Writers Conference this last weekend. 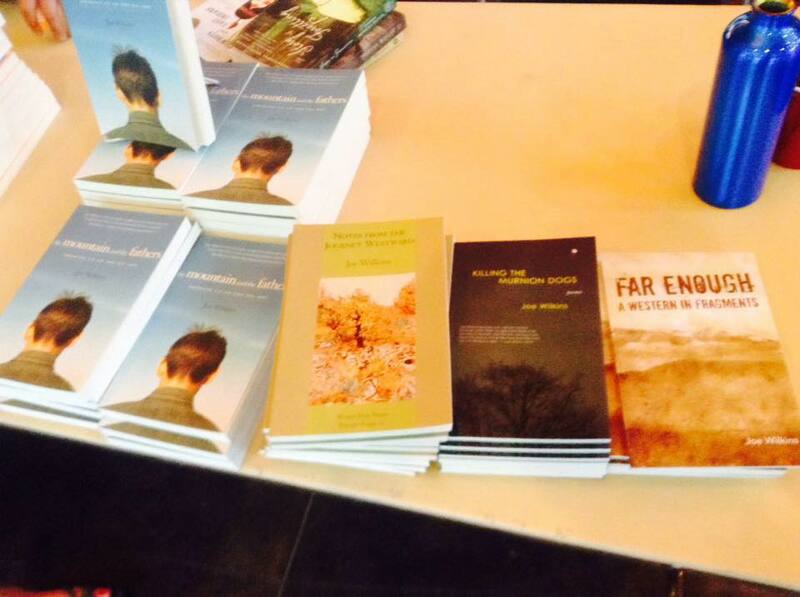 Met some great writers and got to read loads of wonderful writing by energized, engaged folks. A special thanks to Laurie Kutchins and Tim Sandlin for the invitation. 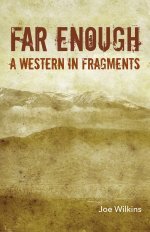 Pleased as can be to be working with the good folks at Black Lawrence Press again–on a novella in prose poems, Far Enough: A Western in Fragments! You can read all about it and order–at the sale price of $6.95!–below. Though Joe Wilkins’s new collection of short fiction set under the big Montana sky may have all the trappings of a traditional Western—long shots of sage flats and blue mountains, late nights at the dingy local watering hole, and a hard-working cowboy making time with the boss’s daughter—Far Enough is far from traditional. A series of short prose fragments told from several viewpoints, Far Enough follows Willie Benson, Wade Newman, and young Jackie Newman as they crisscross the high plains of eastern Montana, each searching for something to hold onto. Wilkins’s narratives—splintered, wending, intertwined—sprawl out beneath a huge, dazzling sky filled with “blue lightning run the wrong way, red eruptions and the slow fade to gold, a white ache along the horizon.” Poetic, darkly humorous, subversive—Far Enough is a Western for our time. Equal parts rocketing narrative and arresting imagery, Far Enoughtrains a grave attention on the longings and flaws of ranch people, and the injustices they inflict and suffer. In these fiercely-charged “fragments,” Joe Wilkins distills small-town, Big-Sky culture into a brilliant, austere, yet addictive liquor. Joe Wilkins’s portrait of the modern American West is told via one-page dramatic tableaux that read like those suddenly captured moments in poetry, in language as simple and unadorned in its beauty as the Montana prairie. These men and women are laconic and unassuming in their wants, fears, desires, and Wilkins reveals them to us wholly, unsparingly, vividly. The vision here is clear-eyed and humane. If Chekhov were born in Billings instead of Taganrog, he might very well have written about people like this, just as Wilkins has. When I’m asked what an ideal story for our magazine would be, I think but don’t say: like a Joe Wilkins story. Far Enough is tight, chiseled and beautiful, full of language so physical it seems like landscape itself. You can feel the West in these words. But you can feel the people too, their stories equal to the place. I love Joe Wilkins’s stories. I always have.